This post will interest the Tappan history buffs out there. Tappan Talk reader, Maureen, sent me me an email containing some research she did (and agreed to share with us). 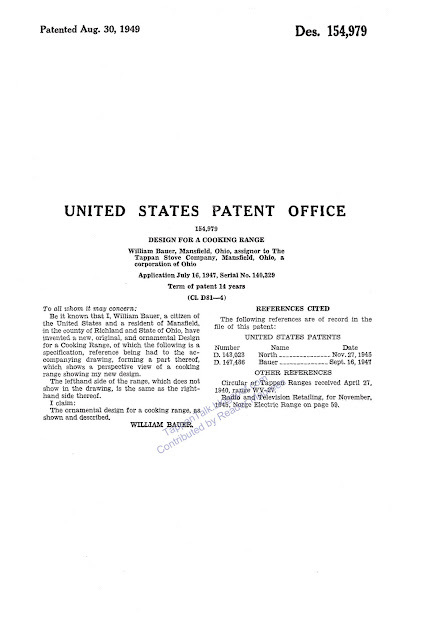 Attached to her email were scores of original patent applications submitted by the Tappan Stove Company to the US Patent Office. I'm going to start us off with a 1949 patent application for the ornamental design of an early Deluxe model. Over the next few months, I'll post more...some dating back to the early 1930's. A huge thanks to Maureen for all of her research! "A new show on HGTV called Cash & Cari has a Tappan Deluxe in the first episode. Sounds like it gets damaged however. Also in this episode... Cari agrees to pay thousands for the contents of an entire home. But will she uncover enough treasures to justify the monumental cleanup? A rare vintage stove gets banged up on the way to the warehouse. And, back at the shop, a hopeful collector comes in with an Impressionist painting. But is it a real Degas? 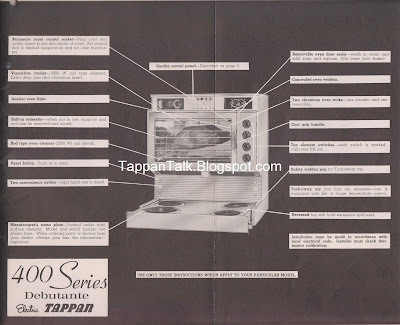 There is also a photo gallery for the episode and there is a picture of the Tappan Deluxe." I don't have cable, but if anyone watches this episode I hope they post a comment! Maureen sent me a couple of emails about her new Tappan Deluxe. Along with the email info, she included photos of vintage Magic Chef she previously owned. Both stoves seem to be a good fit for her 1920's Tudor style house. 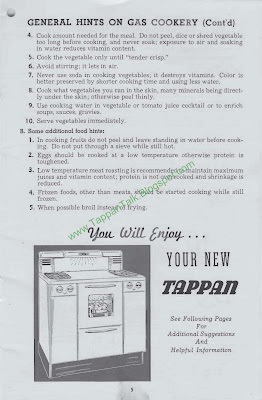 "I found Tappan Talk today as I was waiting for the delivery of the Tappan I purchased. 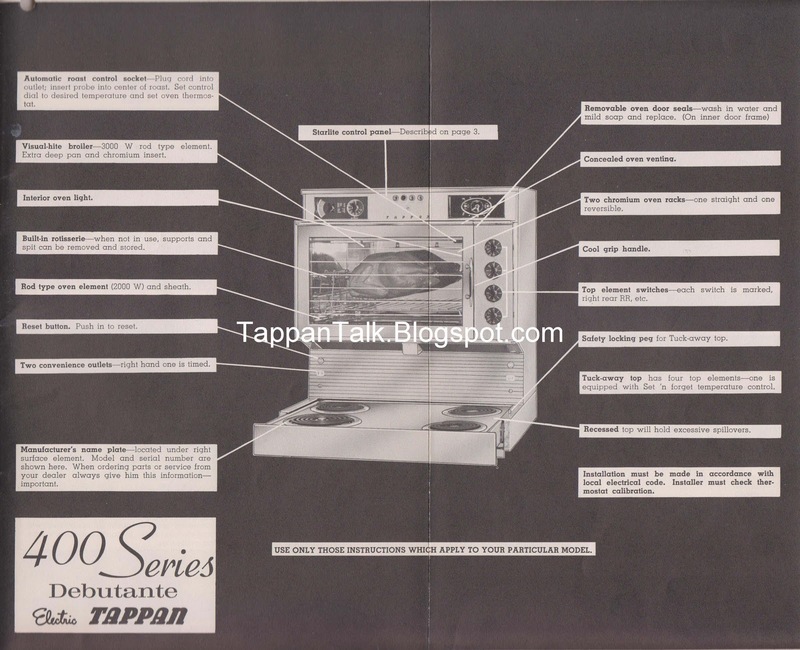 [...]The Tappan I have is model TV63X16 serial number 203049. It has red rings around the knobs, I wonder if these are supposed to light up. The clock doesn't work, but it looks cool. It is not a CP model so the oven has to be lit each time. It was built in Mansfield, OH. I bought it yesterday from a used appliance dealer in the West Park neighborhood of Cleveland, OH. I think he got it from an estate sale. 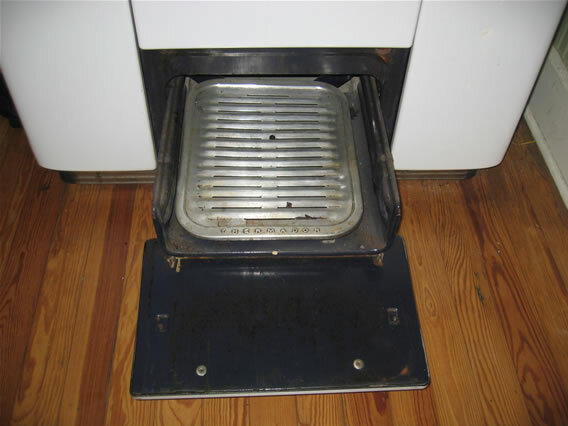 The stove is a replacement for a 1948 Magic Chef which I had since 1976. It finally needed a new thermostat and I am hoping that my money was better spent in getting this Tappan. It now is in the kitchen of our 1929 house - not a bungalow. There are plenty of beautiful bungalows in our neighborhood. Our is more of an English shingle covered tudor (I guess). We've been here since 1986 but are still not finished. The Tappan has a pull chain for the top light, which works. The oven light works, too. The oven is enamel. There is on wire shelf in the left storage space, and no shelves or racks in the right storage space. It has red glass rings behind the control knobs, but they do no light up. I don't think they were ever intended to light up - I took off the manifold covers and there is no sign of wiring, a switch or a light. I guess it is a 60 series - so it must be late 40s or early 50s. I think my Grandmother had one like this - I kind of remember it. I need to look through old family photos to verify. (That would have been in the early 1950s.)" Thanks Maureen for sharing your photos.....and the upcoming surprise! I have been getting a lot of email questions lately. Most of which I can't answer. What I thought I'd do is start a post that is purely questions (and hopefully, answers) from readers. This way we will have one location for readers to exchange information. I will then make a permanent link to this post and put it on the left side of the blog. Please post any questions....answers....tips...advice.....etc. as a comment to this post. "My husband and I moved into an old house that was built in the late 40's to early 50's. 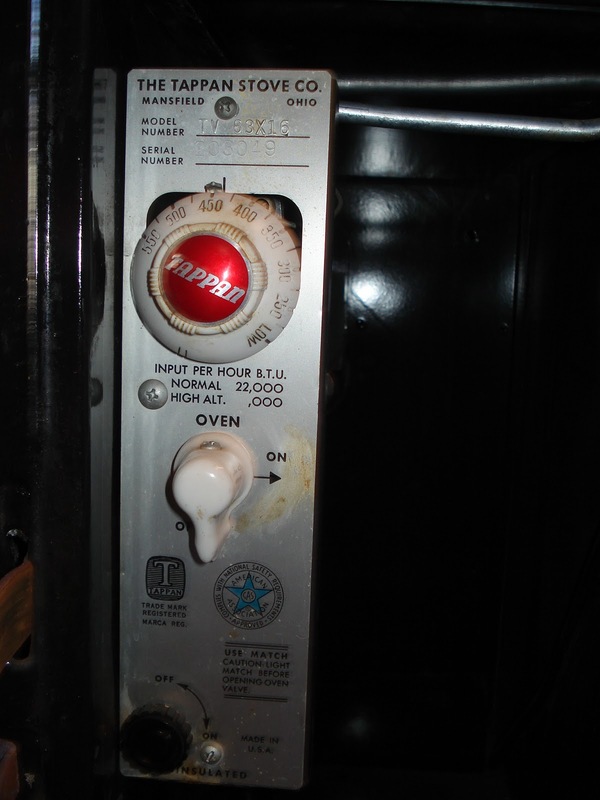 In the basement we found an old Tappan 4 burner gas stove with oven. 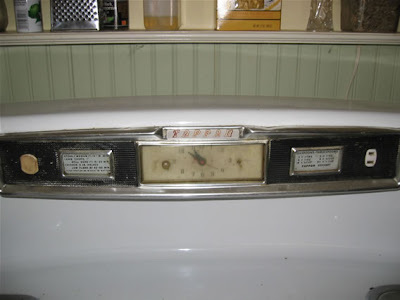 I have looked at other pics of other Tappan ranges and they all have the timer dial in the center ( or at least thats what im thinking it is. 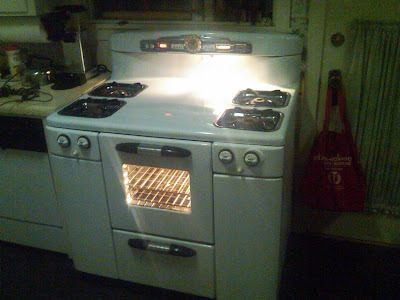 Anyway, I have included with my email several pictures of the stove. Maybe you can tell me what year it is. Sorry its not cleaned up yet. We just began discussing the stove recently so I thought I'd try to do some hunting. 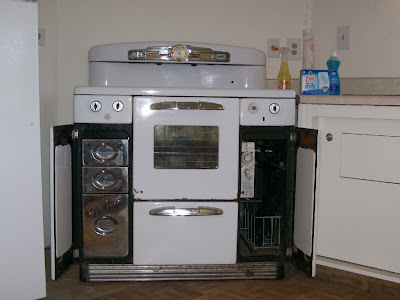 Thanks for any of your help, in advance :)"
I originally thought her stove was early 1940's. I started looking through the 1940 and 1941 Sales Manuals I have and found a similar back splash and "cove" top, but the vents were vertical instead of horizontal like Angie's stove. 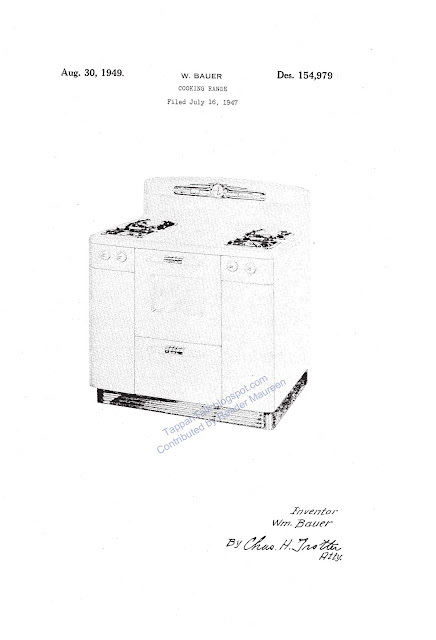 Then I pulled out an older Owner's Manual (courtesy of Ron & Aiden) and bingo....found an illustration of a stove similar to Angie's. 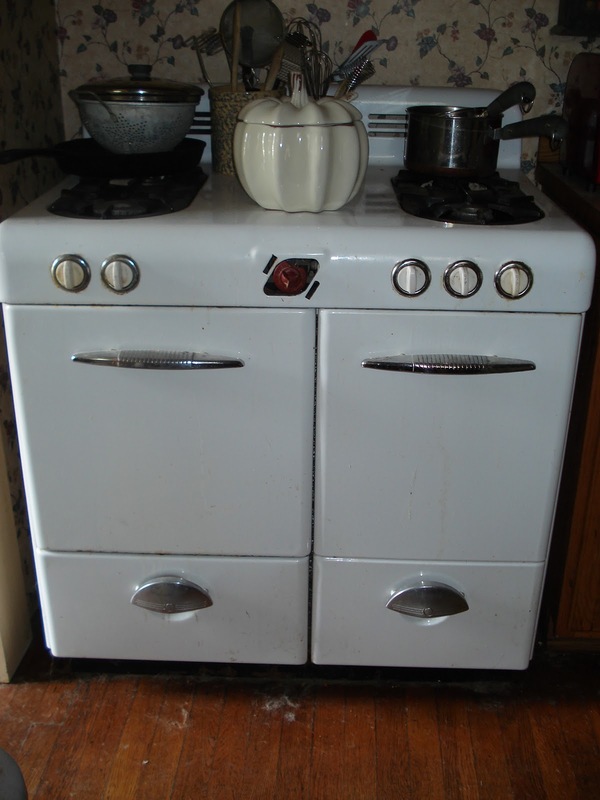 This would move Angie's stove to the late 1940's (possibly, 1946 -1947). 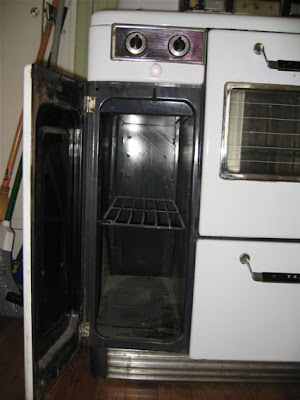 Also, note the similarities to Dionne's stove. I even (accidentally) hunted down the same Sales Manual picture. Thanks Angie for sharing the photos! "I took some pictures of my tappan for you. I bought this in 2006 from the granddaughter of the original owner. It was in good shape but needed a major cleaning. Over the last 4 years, I found the burner covers and the oven racks on ebay, ordered new burner knobs and replaced all of the bulbs. The only thing I have left to do is to rebuild the thermostat, find a pair of pyrex burner trivits and rebuild the clock again. I have attempted to rebuild the clock two times already out of parts I found on ebay, but it dosen't keep time very well. I think the problem is in the coil, because the telechron rotor works fine and the gears turn easily. 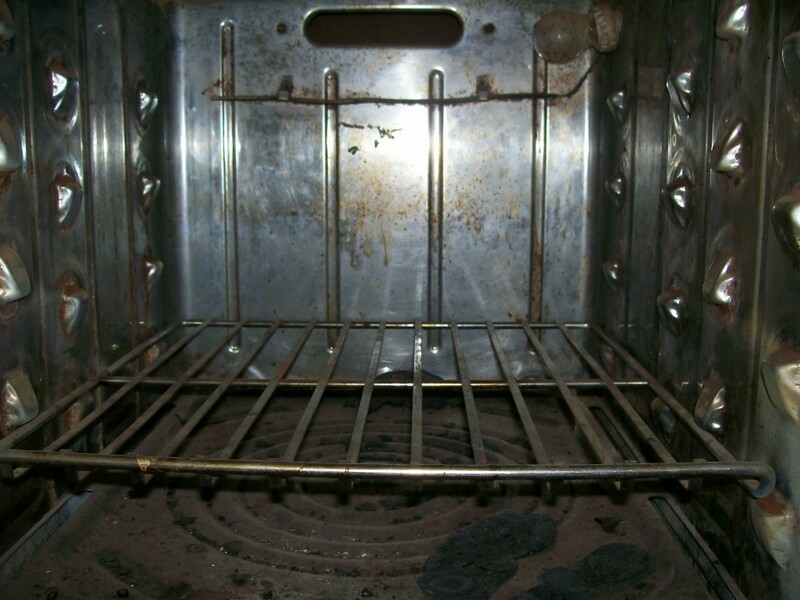 The inside of the oven is almost spotless as is the porcelan finish on the exterior. 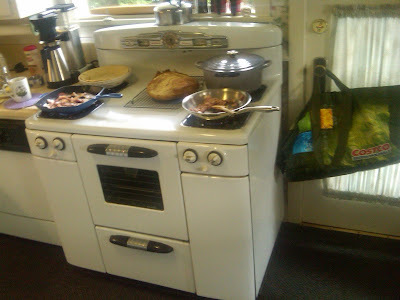 We have the stove in our basement kitchen and it works better and is alot easier to clean than the new stove upstairs. If anyone has Telechron clock repair advice for Joe, I'm sure he'd be happy to hear it. 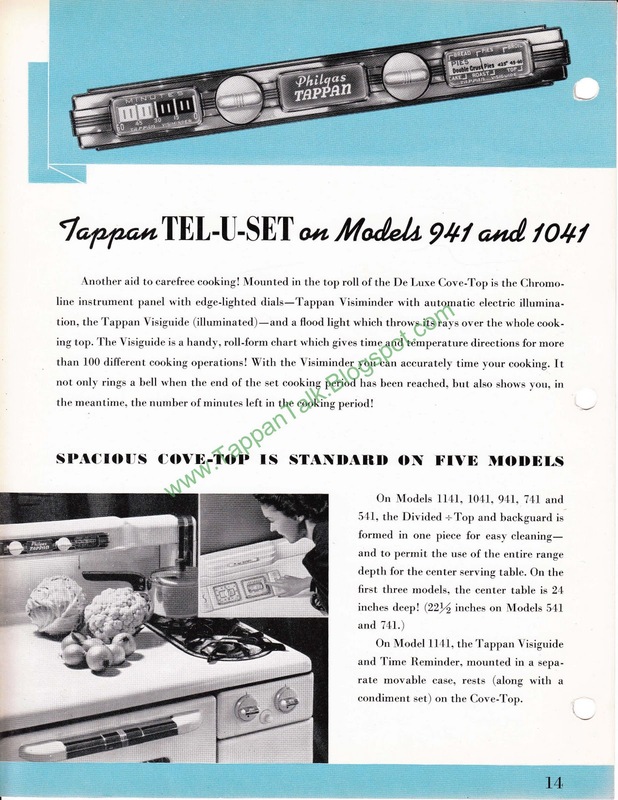 Check out the Tappan Chef salt & pepper shakers in the top of the stove. And if you peek in the pull out cutlery drawer on the open right storage area, I think I spot the same set of solid white Roman arch shakers that Katie showed us a few months ago. 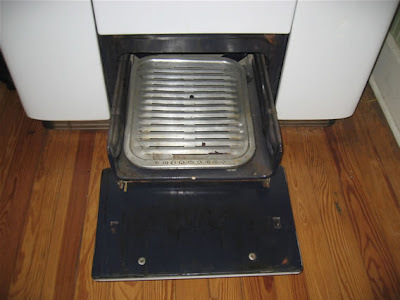 Also, does anyone have any ideas for reproduction versions of the pyroglass plates that fit on the burner grates of some of the Tappan Deluxes? There certainly are quite a few stove owners looking for them. Thanks, Joe for the photos. Your stove looks great in that kitchen! I am going to take a short little break from posting photos of readers' stoves. Don't worry, I still have quite a few of reader's stoves in queue to post. I ran across some info. on the Tappan 400 Series stoves. 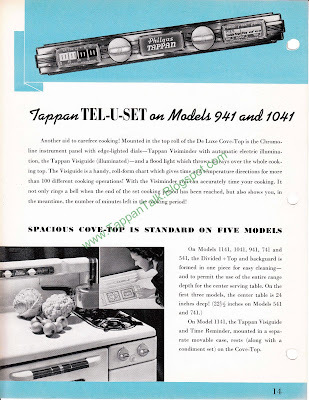 Up until now, I have focused on older Tappans, but these all-in-one units are very cool and it's fun to see what features Tappan carried forward and what features changed over time. 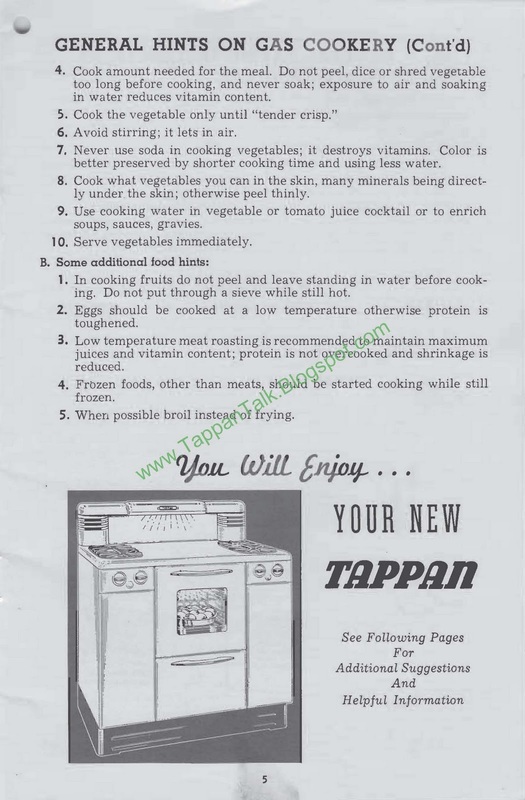 I received the following email from Joe M. We met Joe's Tappan Deluxe, Precious, last year. At that time, Precious was sitting in Joe's garage. Joe is a commercial designer, so I was excited to see the new kitchen design with Precious as the centerpiece. Now that I have been able to move my stove Precious into place I am ready to seriously address some of her operational issues. My Tappan is a 1950 AV669-16 previously posted in your blog and although her knobs are working (glowing red) I found the cove lights do not work nor does the clock. I want to remove the cove containing these components but am wondering if the electrical components will cleanly “unplug” from the stove body in the removal process. Do you have any information? 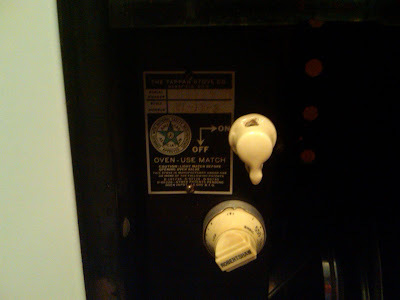 Also I have found your blog extremely helpful regarding my oven pilot light. This will not stay lighted but I found references to this problem under both Thermocouple and Thermostat and will re-address this with a qualified stove technician and hope to fix this as well as regulate the thermostat. Fingers crossed I won’t have to have it re-built!" "...I have been tweeking the kitchen still further, switched-out the clock for one with a chrome (plastic) frame w/black face & white numbers & this weekend I bought a stainless steel shelf from IKEA to hang below the clock instead of the Victorian one I currently have. I’m trying to add a more commercial look/feel to the stove area to compliment Precious. My kitchen guy has now added upper cabinets to which I am adding lights as well & with these cheap base cabinets, the kick bases are all the same as the cabinet finish….white…so I’m getting 20’ of black vinyl cove to glue to the kick base. The black will look more authentic and also help diffuse the differences in white between the floor and cabinet. I’ll send pics of this too when I finish." This kitchen looks like it's out of the pages of a magazine. Thanks for sharing them Joe! 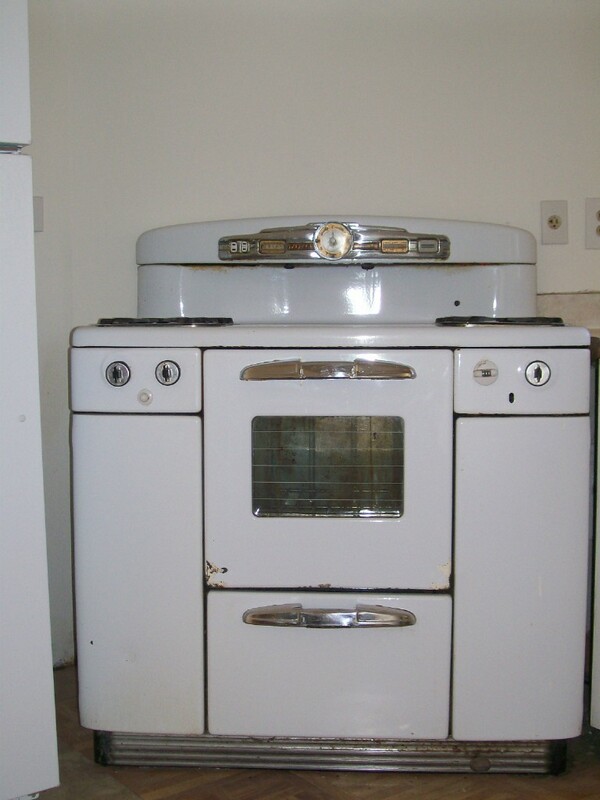 The label on the stove says it is model number ZCKV 2662 Lot #2. Serial # H13088. Based on the description of the stove, which I found online, I think it is the 1953 Model 60. A previous repair guy told me it was the Standard model and so not worth saving, like a Deluxe. It came with the house I bought 8 years ago. The previous owner had bought it, fixed it up and installed it. The back lights up like a jukebox. There is a light in the oven, a clock that moves but doesn't keep time and recipies on the backsplash." 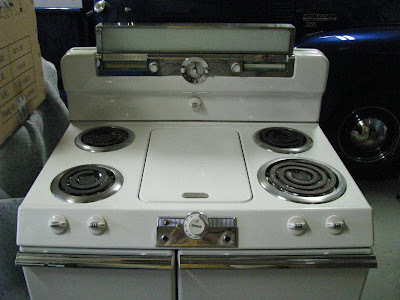 This stove looks a lot like a Deluxe, except the clock on the backsplash is rectangular, the door handles are more streamlined, the burner knobs and manifold panels are chrome. It has a pull out utensils drawer and towel holders in the right storage area, but I've never seen a blue drawer before. Finally, the thermostat knob is larger than a typical Deluxe. 1953 sounds like it might be about right. I have another mystery for you. 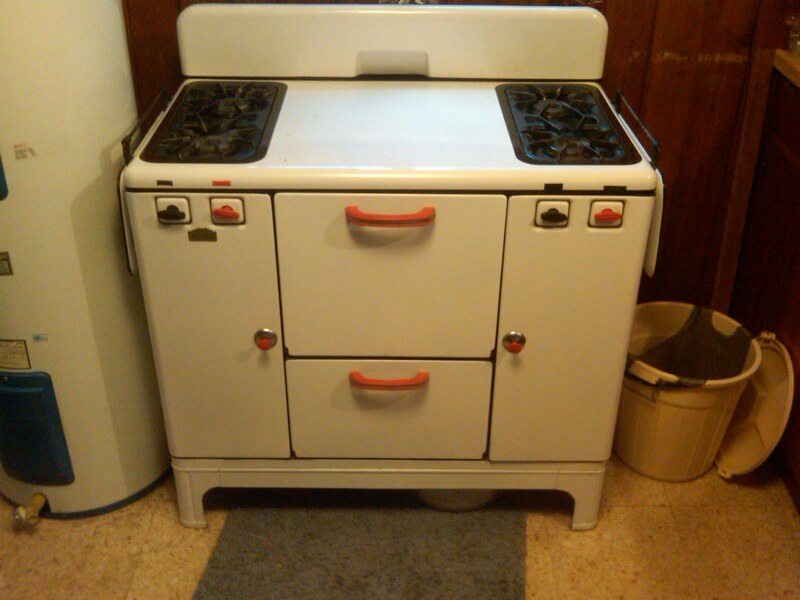 Mindy sent me photos of this cute stove asking if it is a Tappan. The stove says "Deluxe" on the back splash. It has some features similar to a Tappan....and some that aren't. The owners, Mindy and her husband, believe the stove is original to their 1951 house. They tell me the stove appears to be propane. Other than the back splash, they haven't been able to find any with writing on the stove. What do you think? Thanks for the photos, Mindy! 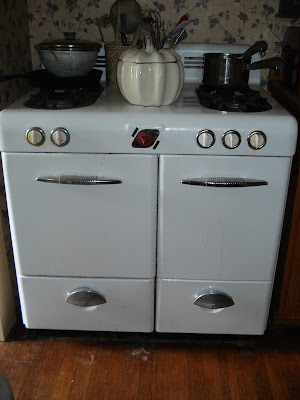 Tappan or not, it's a great looking vintage stove. Keith was wondering how old the stove is. My guess based on the raised feet and door handles, is the mid-1930's. Also, note the unusual Robert Shaw thermostat knob...and the burner covers that swing down to the sides of the stove. Thanks for sharing the photos, Keith! Tappan Talk reader Jack sent me the following great email (excerpts) and photos. How perfect is the Tappan Deluxe for his wonderful craftsman bungalow?! 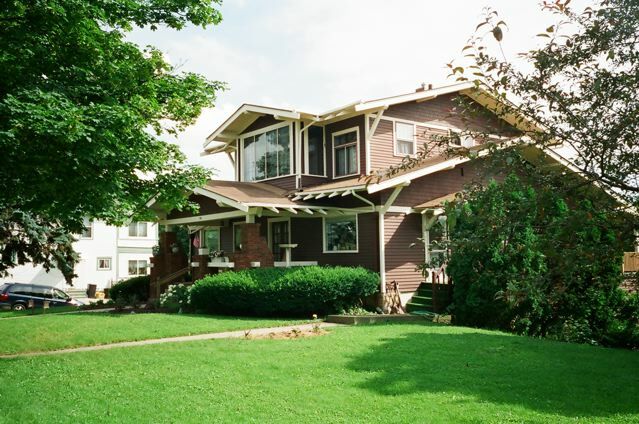 "First of all, I moved in to a 1916 craftsman style house about a year ago. Two ranges came with the house — a GE Electric circa 1970 with push button controls, which was in the kitchen, and a tappan deluxe that was in the basement. 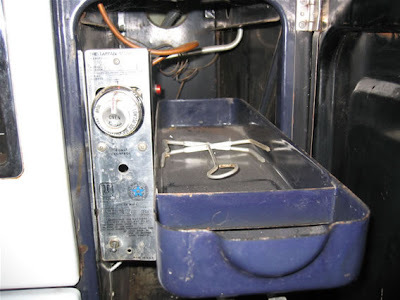 I was in the house for several months before I realized that the gas stove in the basement was hooked up. About three weeks ago, the GE went out on me, so I decided to move the Tappan to the kitchen. The plumber disconnected the Tappan in the basement and ran a gas line to the kitchen. I had my electrician replace the cord in the back with a grounded cord, so now all the electrics work. Well, mostly work. The oven light is a little idiosyncratic. Sometimes it goes off when I close the door and sometimes it does not. 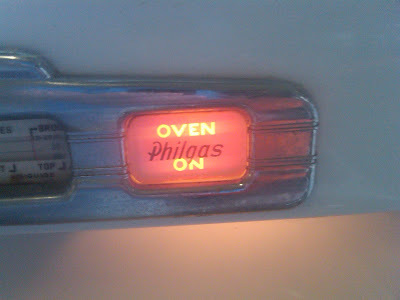 The “peek light” knob works fine, but the catch for the oven door-closed shutoff does not always turn off the oven light. 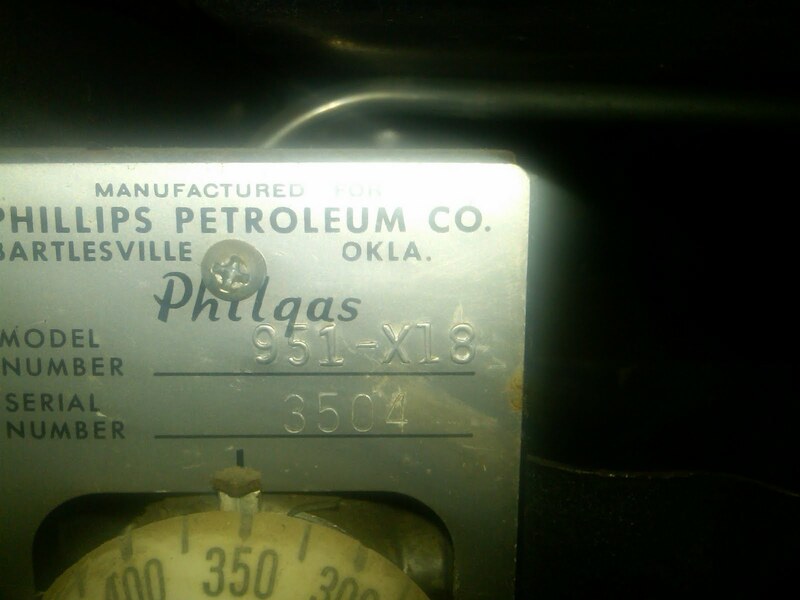 I love the “oven on” light behind the far right “philgas” 951-X18 is my model number with serial number 3504. It was made for LP gas, but I think that the nozzles must have been switched at some point. 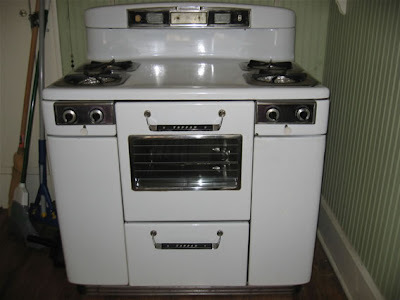 Anything you can tell me about the age of the stove or how to research based on the model and serial numbers would be helpful. 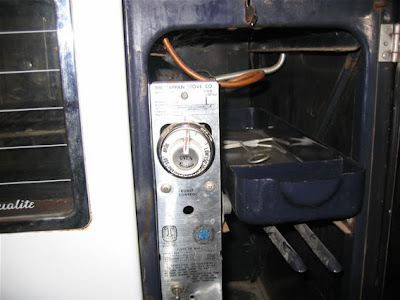 But my biggest question is how to work the auto plug, or where to get a manual for the stove. The clock works fine, as does the timer, and I have plugged in a little night light in the auto plug to see when it comes on or turns off. It was on for a while, is now off, but I cannot figure out for the life of me how it regulates. I doubt whether the Tappan has seen active service since the 1960s or so, but an oven thermometer shows that the temperature is spot on, so I am pretty confident that things are mostly working correctly. The Tappan is not only a great conversation piece but cooks like a dream and fits in well to my home. " Thanks, Jack for the great pictures! Leah sent me a photo of an unusual Tappan she was thinking about buying. It's an electric model with a coveted griddle in the center. Leah was hoping for advice on how difficult it is to find an element for an electric stove if the original goes bad. 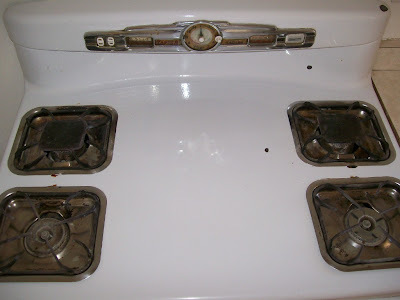 I've never owned an electric stove, so I don't have any advice to offer on that issue. Readers? 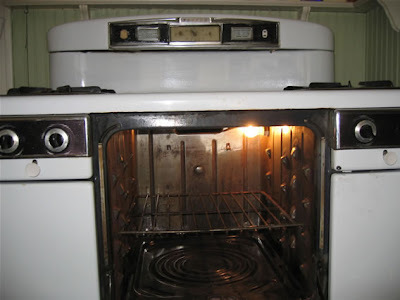 My guess based on the back splash and the oven door handles is late 1950's or early 1960's. What do you think.